Britain has voted to leave the European Union, and it has thrown the United Kingdom, and the rest of Europe into turmoil. Simply put, no one really knows exactly what will happen next, and a period of unprecedented political strife is likely to take hold. 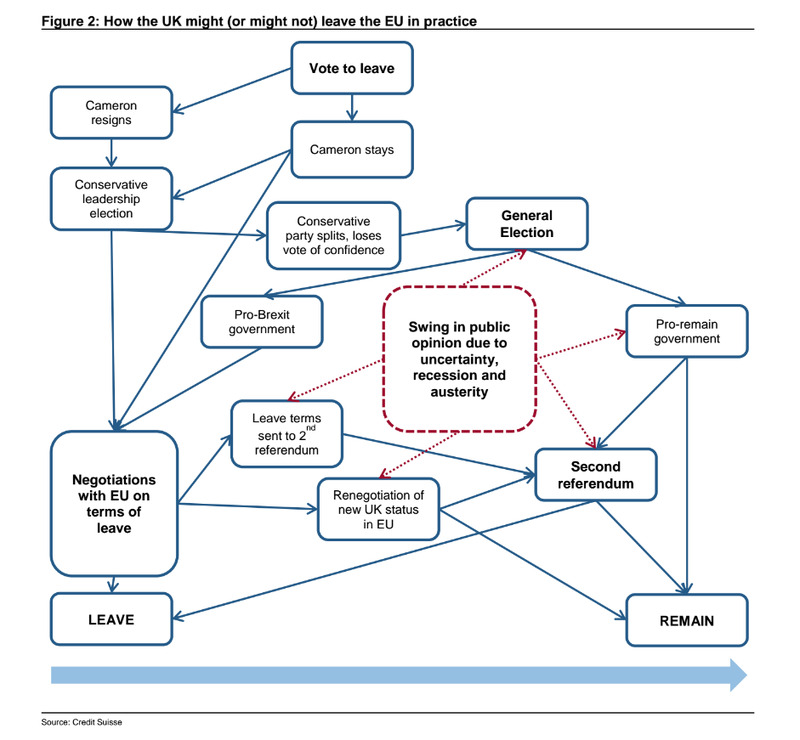 Britain isn’t going to leave the EU instantaneously, and the process to so will be complicated. In fact, as the referendum is not legally binding, it is not 100% certain that Britain will even leave the EU at all — although that is unlikely. This vote does not mean the UK will immediately leave the EU. Indeed, it does not necessarily mean that the UK will definitely leave the EU. 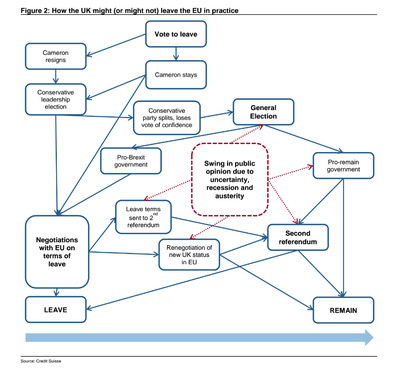 As we discussed earlier this week, the process by which the UK leaves the EU is relatively simple. After preliminary discussions with the EU, the UK Prime Minister would write to the President of the European Council informing him that the UK wishes to negotiate a departure from the EU under Article 50 of the EU Treaty. At that point the UK would automatically leave the EU two years later, unless there was an unanimous agreement amongst all other 27 EU nations to extend negotiations further. If there was, negotiations would continue until they were concluded, at which point the UK would leave the EU. However, the process may prove more chaotic, and less clear, than that.